The market for Chinese movies is enormous and growing very fast because there are 1.3 billion people now living in China. Because of improvements in the Chinese economy, the average Chinese person has sufficient financial resources with enough disposable income to pay for a night out at the cinema. The largest movie studio in the world is Hengdian studio in China. Instead of receiving as Oscar for being the best films, Chinese films are awarded The Golden Rooster. 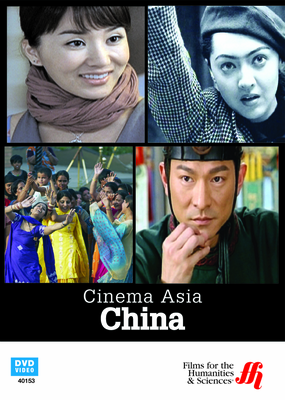 China has a vibrant film industry. Some Chinese films are global exports, but most of Chinese films are now made for consumption by the Chinese people. The Cultural Revolution that happened in China during the 1960s caused all the movie studios to close down, so it took quite some time for the Chinese film industry to rebound. Because of this revolution there is still a lack of enough movie theaters in China. Most of the Chinese filmmakers got their start at the Beijing Film Studio. It was not until the 1980s that the film industry in China was growing again. The famous director Zhang Yimou is innovative and takes on risky subjects, which causes his films to be censored in China. He did have success with a film called “Hero,” but was criticized for the storyline since it was contrary to China’s historical perspectives. The Chinese government has strict control over the subject of any movies made and released in China. Another director, Ang Lee, who is from Taiwan has achieved major international success. His first big film was “Crouching Tiger, Hidden Dragon,” which was a global smash hit. This program includes an interview with famous Chinese actress Zhang Ziyi, who talks about her experience with both of these directors. Chen Kaige is another successful director who makes films for an international as well as Chinese audience. He made "The Promise.” which had the highest budget so far for a Chinese film. Feng Xiaogang is a director who makes comedies about people. Piracy of movies and illegal copies made of DVDs is a big problem in China. Yet, despite of all the challenges the film industry in China continues to grow.